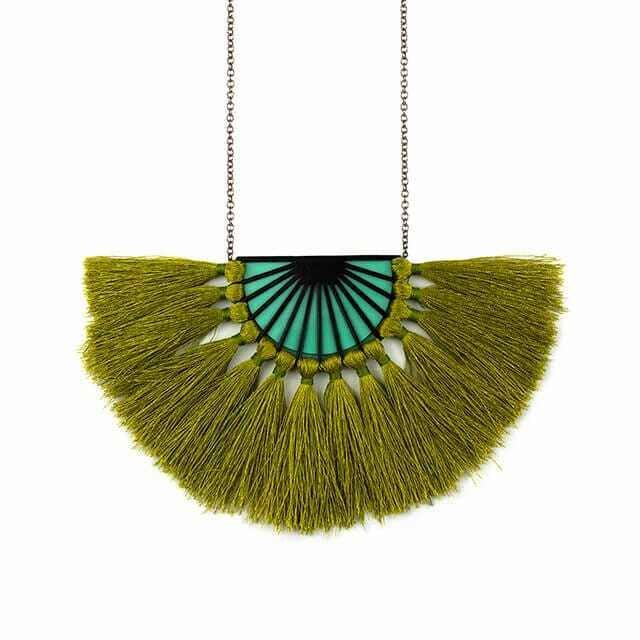 A statement necklace with bold colors and movement. 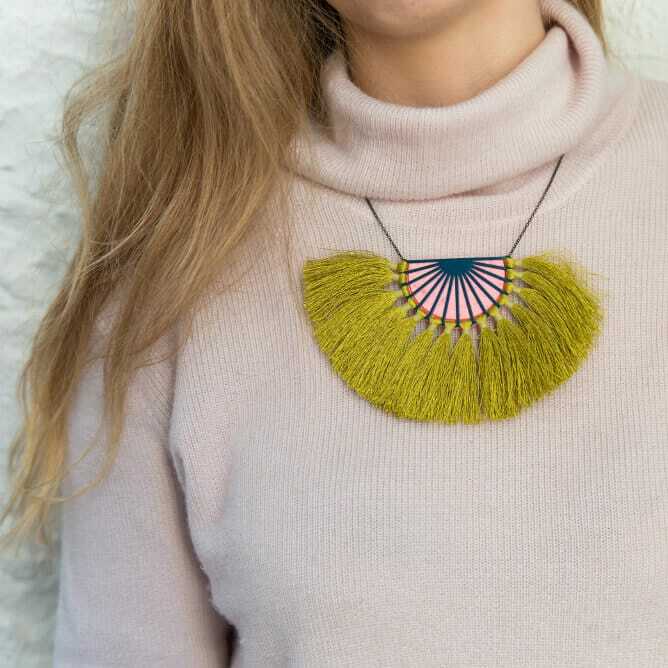 Focusing on the human need for adornment this necklace was developed in response to a research trip to the Burning Man Festival in the Nevada Desert. Resin, thread & powder-coated steel with an oxidized Sterling silver chain.